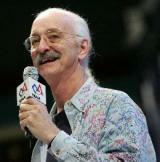 Dr. Woodie Flowers is the Pappalardo Professor Emeritus of Mechanical Engineering at the Massachusetts Institute of Technology and a Distinguished Partner at Olin College. Dr. Flowers serves as Distinguished Advisor to FIRST and participated in the design of theFIRST Robotics Competition game for many years. Dr. Flowers helped create MIT’s renowned course “Introduction to Design.” He also received national recognition in his role as host for the PBS television series Scientific American Frontiers from 1990 to 1993 and received a New England EMMY Award for a special PBS program on design. He is a member of the National Academy of Engineering and a Fellow of the American Association for the Advancement of Science and of the American Society of Mechanical Engineers. He recently received The Joel and Ruth Spria Outstanding Design Educator Award from ASME, a Public Service Medal from NASA, and a Doctor Honoris Causa from Andreas Bello University in Chile. He is a MacVicar Faculty Fellow at MIT for extraordinary contributions to undergraduate education. He was also the Inaugural Recipient of the Woodie Flowers Award by FIRST. Currently, Dr. Flowers is a director of three companies. He and his wife Margaret live in Weston, Massachusetts.